A hilltop view, complete with bench. Here, you can sit to watch the sunset off to the west . . . 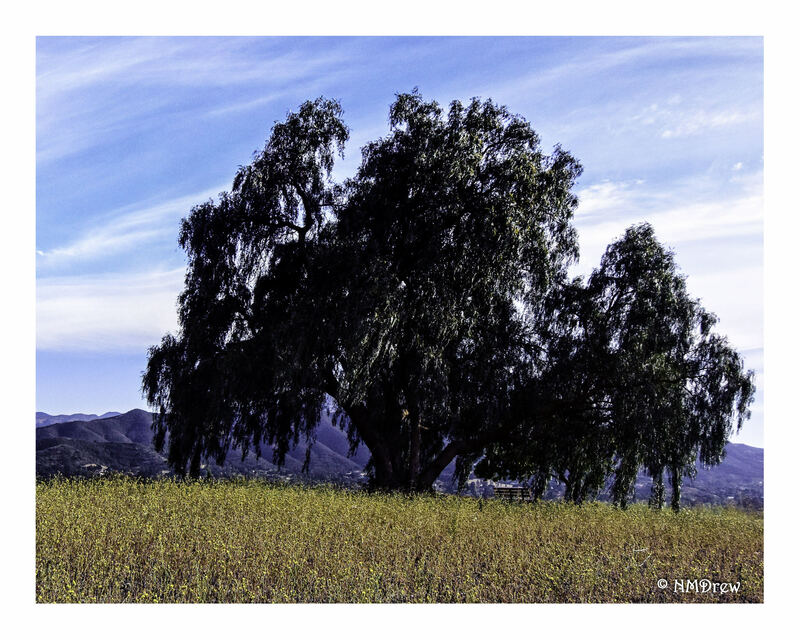 This entry was posted in Glimpses and tagged 1 Nikon 10-100mm f4-5.6, California, Nikon V3, Pepper Tree, photography, Santa Monica Mountains, Ventura County. Bookmark the permalink. Lovely, looks like a good place for a picnic! There are a few tables scattered across the mesa, along with some pepper trees, cacti, plumbago, and those lovely poppies. The views are really beautiful.